For this project, the Waquoit Bay Reserve will partner with the Mashpee Wampanoag Tribe, a federally recognized tribe with ancestral homelands located both within and adjacent to the Reserve. 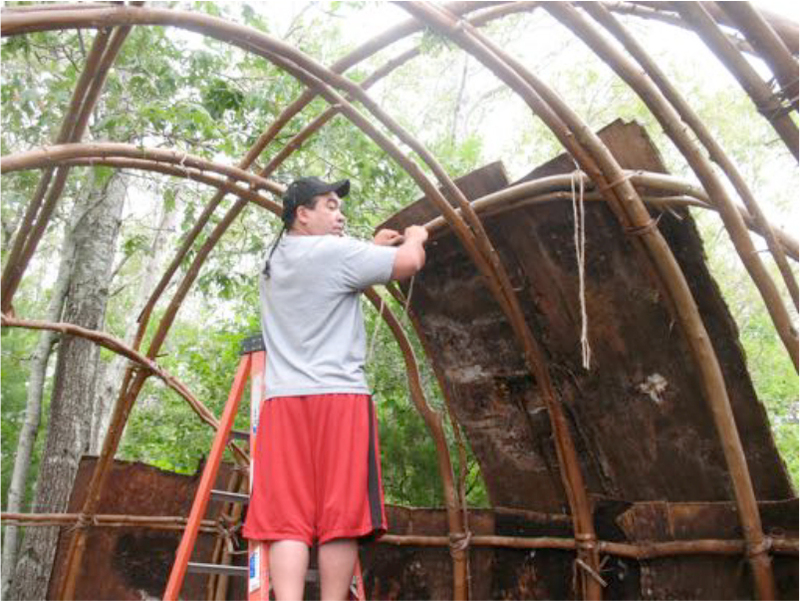 The project will improve and enhance an existing outdoor wetu exhibit at the Reserve and offer a professional development workshop on Native life-ways and estuaries that highlights the vital connection between people and the environment. Through the exhibit and teacher workshop, we will build an appreciation for the rich indigenous culture and historic significance of the Mashpee Wampanoag Tribe. This place, we will look back at the First People to live here and utilize the bay’s resources. Artifacts and ancient Wampanoag shell middens have been found on the Reserve and nearby lands that begin to tell the story of this place. The Reserve’s scientific data, information about land use change and evidence of human impacts can add further details to the continuing story of our watershed and need for increased stewardship.